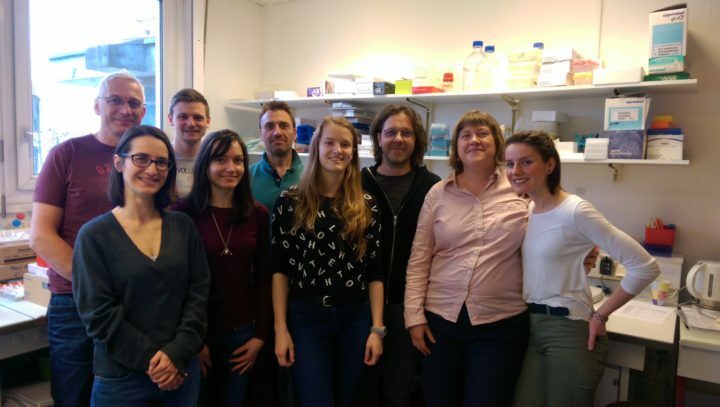 Marit van der Pol – Second year Masters’ student Biomedical Sciences at LUMC- shares her experience of visiting a research laboratory at University of Strasbourg. I am a second year Biomedical Sciences Master’s student, and I decided to go abroad for my internship at a Eurolife institution. The group where I am doing my internship is from the Institute National de la Santé et de la Recherche Médical (INSERM) unit 1113 (Director: Jean-Noël Freund) team 2 (Team leader: Christian Gaiddon) in Strasbourg which focuses on developmental and cell stress signaling in digestive and urological cancers. The lab is located next to a big university hospital and it is part of the University of Strasbourg. The group is in close contact with another research group in Zweibrücken (Germany), and by exchanging expertise, research can be performed in a highly efficient way. The group has already five patents, one license and a start-up company that arose from the research of anti-cancer effects of novel compounds containing ruthenium and osmium. The research topic I am working on concerns the effects of platinum-based chemotherapeutical agents on the p53-family of transcription factors, which are involved in many processes such as cell cycle regulation and apoptosis. The research is focused on the enteric nervous system (ENS). With the use of in-vivo and ex-vivo models, underlying mechanisms of observed neuron degeneration upon anticancer treatment will be explored. It will provide information of a fundamental nature, possibly aiding in the development of therapeutic interventions to reduce gastro-intestinal side effects of platinum-based chemotherapeutical agents in the future. The topic is part of the PhD project of Anaïs Barthe. The experience thus far has been truly enriching. It is difficult to know what to expect when you are going to another institution to perform research. In this case, not only the institution is different, but the entire country. It soon became clear that the atmosphere is nice, and I felt immediately free to ask questions when I had them. The moment when you are familiar enough at the lab to perform experiments on your own is really liberating and it allows you to feel like an independent researcher. It feels very good to be a part of a team that collaborates extensively with others. It is a valuable experience to go abroad for an internship, and I would recommend it to every student! Just inquire at the international coordinator of your institution.